In August of 2016, Dr. Carter rejoined the Mt. San Rafael Hospital team in a new capacity, serving as a Hospitalist. Prior to that, he served for years as a family practice physician at our Rural Health Clinic. During his time at Mt. San Rafael Hospital he has also served as Medical Director for the Rural Health Clinic and Trauma Team Medical Leader. Dr. Carter received his bachelor's degree in biology from Seton Hall University located in South Orange, New Jersey. He received his medical degree from Midwestern University located in Downers Grove, Illinois. Dr. Carter also holds a PhD in physiology from Marquette University located in Milwaukee, Wisconsin. He completed three residencies in family practice; two at Union Hospital located in Union, New Jersey, and one at Christ Hospital/UMDN located in Jersey City, New Jersey. Dr. Carter is board certified in osteopathic family medicine. Dr. Carter enjoys working in an area where he feels he can make a difference. He also likes having a broad scope of practice at Mt. San Rafael Hospital. Having a personal bond with his patients and the ability to get to know each and every one of them is what brought Dr. Carter back to practicing medicine in Trinidad. The team at Mt. San Rafael Hospital is like a family and a great place to practice medicine. 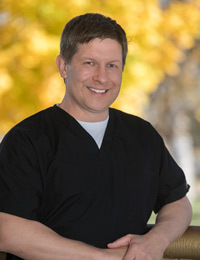 Dr. Carter enjoys hiking, playing piano and guitar, and spending time with his family.